Posted bymocean365	 February 12, 2014 June 26, 2014 Leave a comment on Mix up that boring walk or run! We here at The Mocean Project have had to do some running over the years..me from the police and Meg, she was a bona fide track star back in the day making it as far as the junior olympic level before moving on! 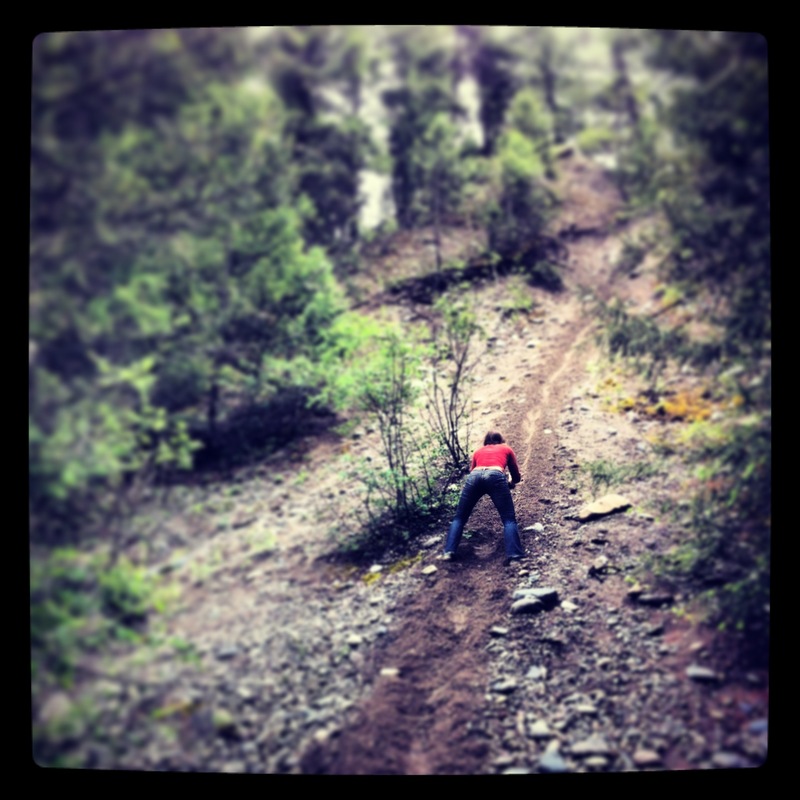 We have most often run to prepare for an upcoming event like a obstacle or adventure race or for general conditioning. Meg is more consistent with it..I really struggle with it especially if there is any road involved. The picture above is from one of our “runs” out west on the side of the road in British Columbia, this past spring. We scaled terrain and got creative and you can too! We made a video a couple years ago of a little run we did in southern NH near the cabin we caretake. This is what our “runs” most often morph into. Our bodies were designed to be so amazingly dynamic so we utilize this during our “adventure runs”. People always ask me about setting a cardio vascular base and want ideas to mix it up. We always practice continuous movement but mix up tasks not only to stave off boredom but for maximum physiological adaptions work. Yes there is a science behind play! Take a look and a listen(the music is from an old band practice of mine, with Lost and Found) and you can hear me and my sloppy drums and our friends holding it down. Now go out and get some!